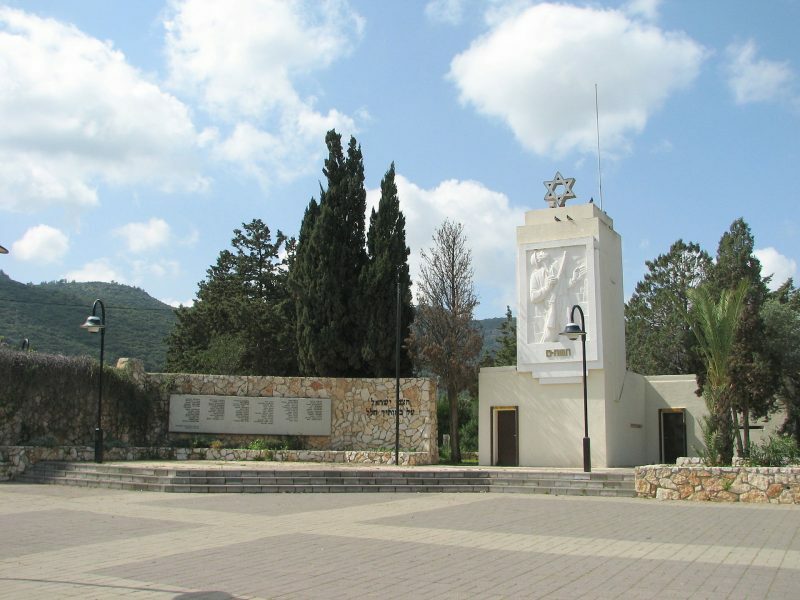 The KKL Nesher Park is located about 500 meters down the road from the University of Haifa on the north side of Mt.Carmel, in the city Nesher. It is the perfect place to entertain both children and adults – plenty of playgrounds for kids and picnic tables. In the park offers two hanging, suspension bridges above a deep canyon called Nahal Katia, great walking paths, Mediterranean forests, woodlands, scrub and flowers. Both bridges are 70 meters in length. 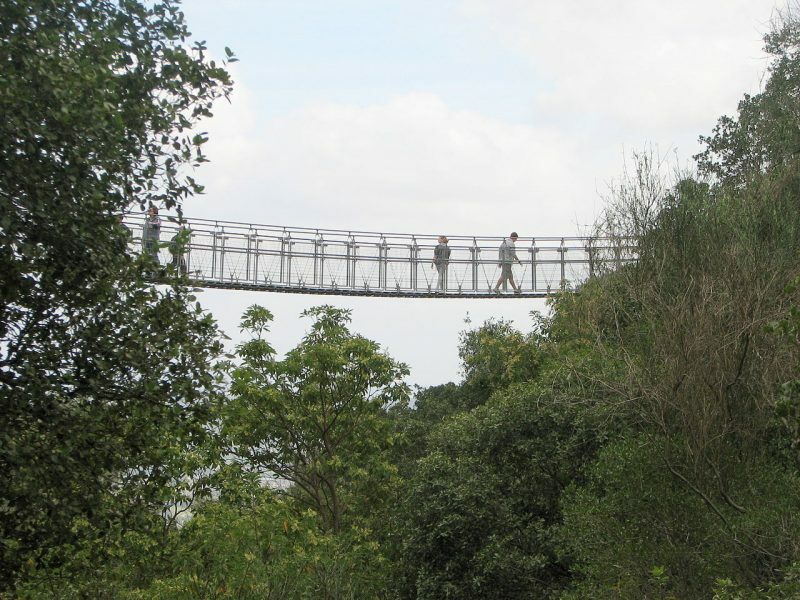 The hanging bridges in Nesher are safe. Nesher Municipality invests about NIS 200,000 annually for the maintenance. Here, take an aerial view of Nesher Park. Did I say that Nesher Park is full of trees? Of course the whole park is a fantastic observation point. You can follow either the blue track or the green, the blue one is more challenging. 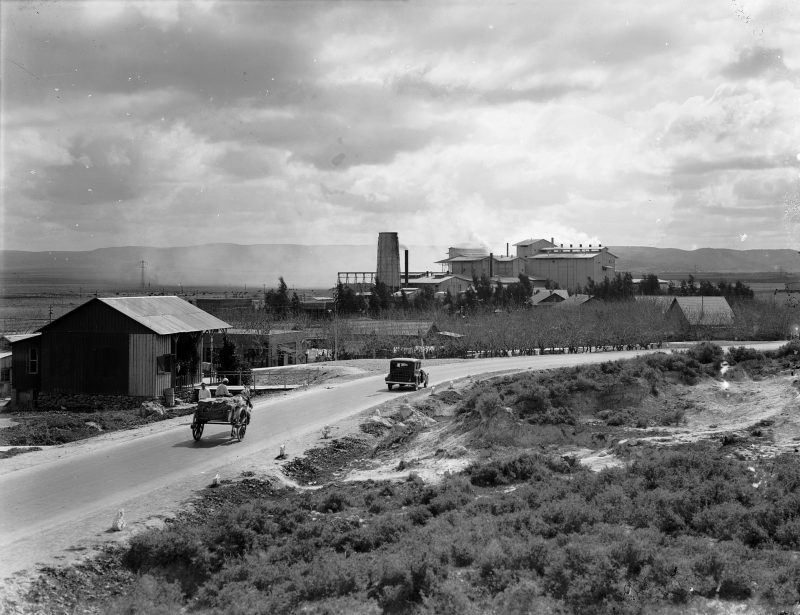 Nesher was founded in 1924 as a town for the employees of the Nesher (Eagle) Cement factory. It was established by Michael Pollack, a Jewish industrialist from Russia. The area was swampy and malaria-infested, but employees of the factory gradually moved there with their families. The relations with the local Arab villages were never good. The hands of the Mandate Police were evbusy with the Arab terror. 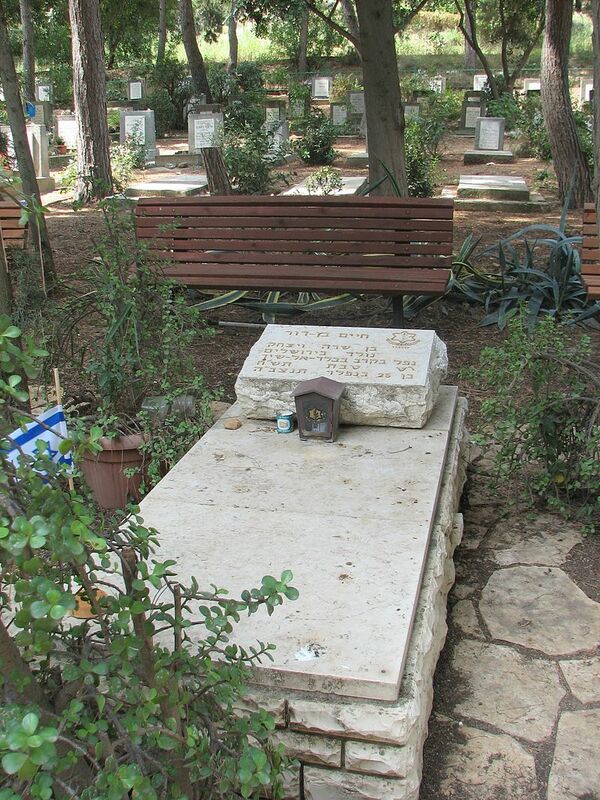 In 1949 company-village of Nesher expanded on the hill of Givat Nesher. 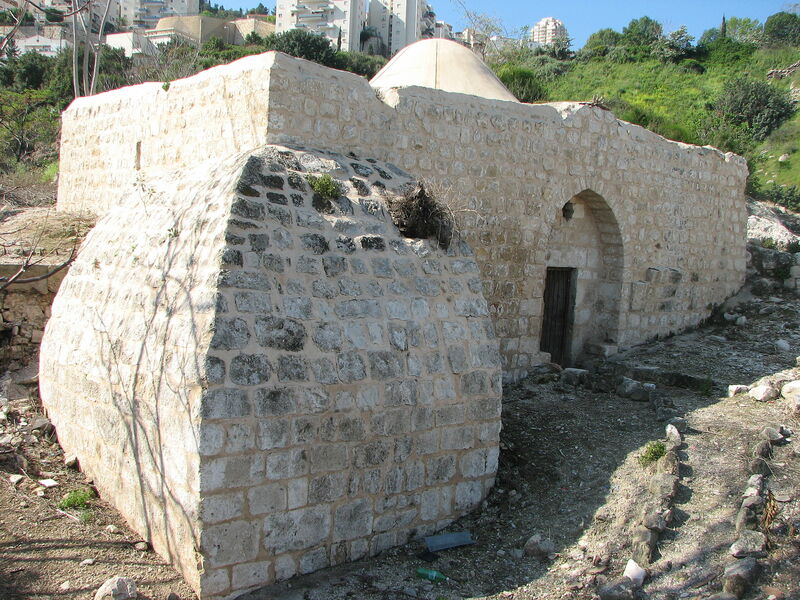 Balad al-Sheikh existed here since the Ottoman period. The village is named after Sheikh Abdullah as-Sahli. He was a renowned Sufi, who was granted the taxes collected from the village by Sultan Salim II (1566-1574). The Jezreel Valley railway line passed by the village. The stop was called Balad al-Sheikh Railway Station, also known as Shumariyyah (Şumariye in Turkish). Balad al-Sheikh was the source of attacks on Jews. In 1929 when its residents attacked the local cement factory and burned down a women’s farm. During the 1936–39 Arab revolt there were frequent attacks on Jewish buses. A British police station was opened in Balad al-Sheikh in an attempt to crack down on the attacks on Jewish buses and property. Izz al-Din al-Qassam supported of the Libyan resistance to Italian rule and fought against French Mandatory forces in northern Syria. In Palestinian he formed bands of local fighters and launched attacks against British and Jewish targets. He was eventually killed in a manhunt following his role in the killing of a British policeman. His campaign and death were factors that led to the 1936–39 Arab revolt in Palestine. 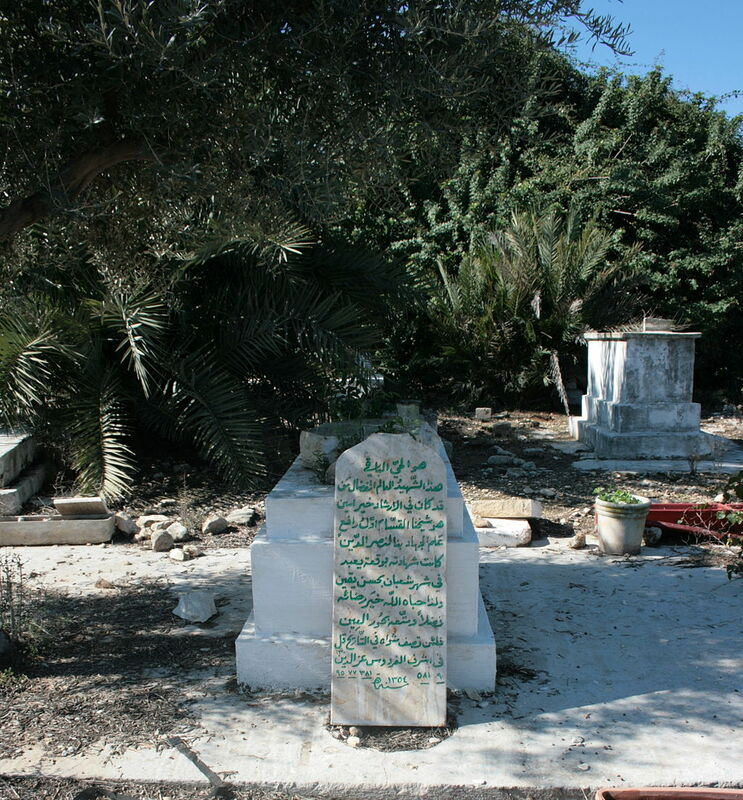 In 1934, a new cemetery for Muslim residents of Haifa, was established near the village and in 1935 Izz ad-Din al-Qassam was buried there, making the area a source of tension between Jews and Arabs. On December 30, 1947, the Irgun made a grenade attack on a crowd of about 100 Arab day-labourers in front of the Haifa Oil Refinery. Six Arabs were killed. Immediately after this the Arab refinery workers killed 39 Jewish refinery workers and injured forty-nine. During the night of the following day, Haganah troops entered Balad al-Sheikh and Hawassa disguised as Arabs and killed between 14-60 depending upon which side you believe. The Arabs called this the Balad al-Sheikh Massacre. During the fight 3 Haganah members were also killed. I worked for 20 years at the Haifa Refinery and participated in the memorial service every year near the refinery entrance. On January 7, 1948, many of the residents left the village left and were replaced by Arab volunteers who came from Haifa. On April 22, after the Battle of Haifa, the vast majority of Haifa’s Arabs fled. At the same time, most of Balad ash-Sheikh’s residents also left the village. The Arab village of Hawassa was founded adjacent to Balad al-Sheikh by the British Mandate in 1938 to replace the shanty village of Ard al-Ramal on Shemen Beach. During the War of Independence, after May 14, 1948, many new Jewish immigrants (Olim) were housed in the deserted Arab villages whose residents left during the war: Balad al-Sheikh (which became Tel Hanan) and Hawassa (which became Ben Dor). 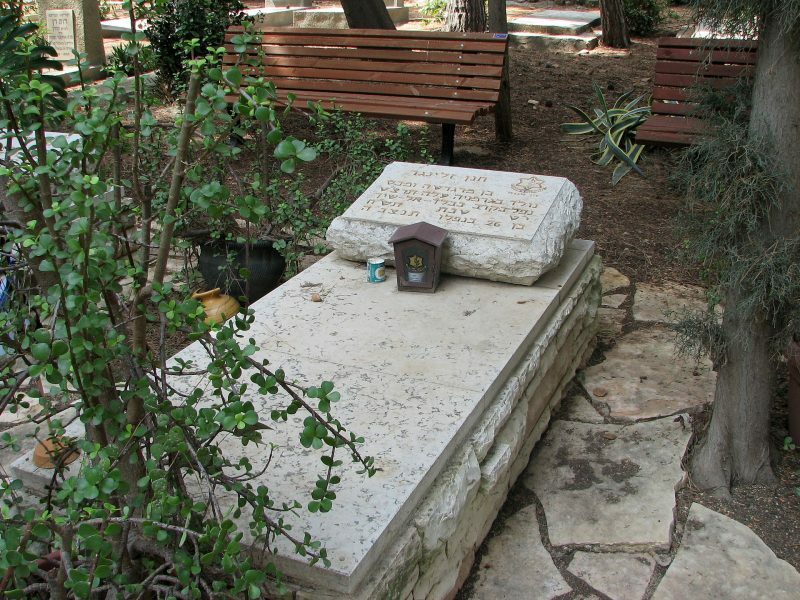 When the Haganah attacked Balad al-Sheikh on the night of December 31, 1947 – January 1, 1948, Hanan Zelinger of the Haganah was killed in the operation. The new post War of Indepence Jewish village, Tel Hanan (now part of the town of Nesher), was built there in his name. ״Glida Tel Hanan״ opened in 1961 with the new American concept of soft ice cream. The Tel Hanan Ice Cream store became the local center for recreation and socializing. After the Arabs fled Hawassa in April 1948, some of the new immigrants (Olim) who arrived were housed in Hawassa which became Ben Dor. 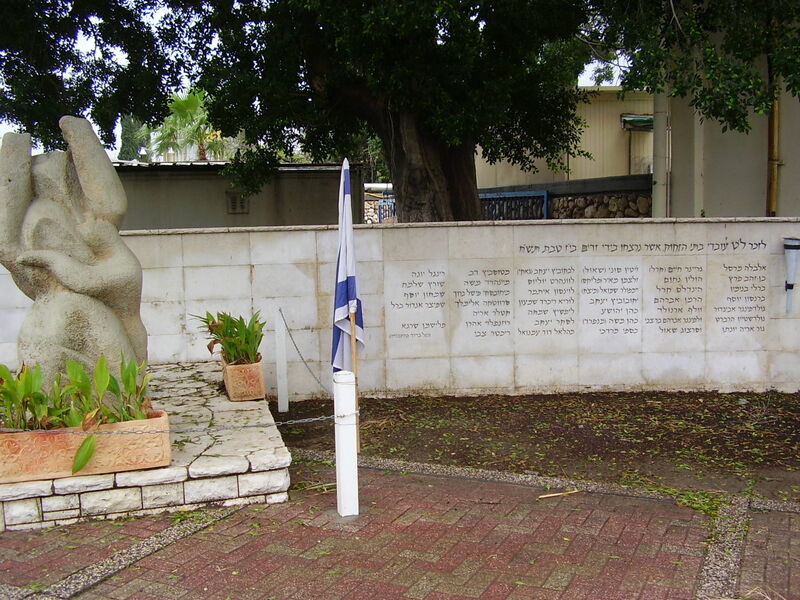 Ben Dor is named after Haim Ben Dor, a member of the Palmah, who was killed during a Hagana reprisal following the Refinery Massacre of December 30, 1947. Nesher, Givat Amos, Tel Hanan and Hawassa were all united in 1952 under the name Nesher. It was declared a city in 1995. Directions to Nesher Park: Approach the site from Haruv Street in Nesher. The bridges are less than 10 minutes walk from parking lot. The circular path along the hanging bridges in the park takes about 1 – 1 1/2 hours . The bridges may be temporarily closed during Winter. There is sometimes a charge during Chol Hamoed holidays.